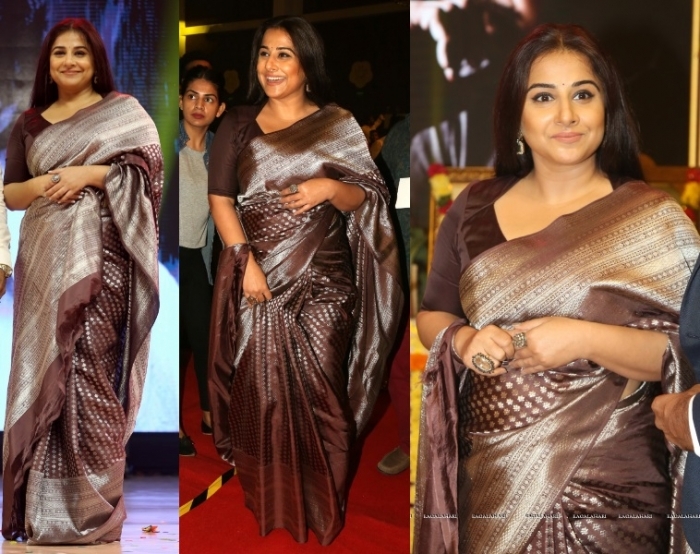 Wearing a S Singhania benarasi sari, Vidya attended the audio launch of the NTR Biopic. We’ve been seeing her do so much of the sleek (read: gel) look, of late, that this relaxed do made for quite a nice change. At the audio launch of the NTR biopic, Rakul was seen in a sari by Sashi Vangapalli with jewellery from Harini Fine Jewellery. Me, I wasn’t a fan of the halter spaghetti blouse but that’s my personal taste.